Welcome to Ferienstadl Hammerau! - hammerau-ferienstadls Webseite! in the middle of the hiking, ski and crosscountry ski ressort Ybbstaleralpen! Holiday-fun for the hole family! 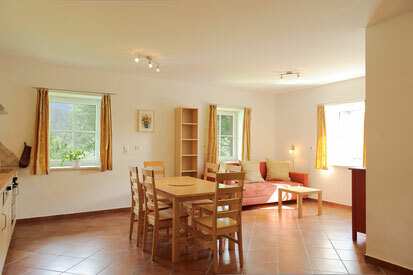 Our Arpartments "Hammerau" is located on a sunny hill and surrounded from untouched nature. The days are enquipped with a lot of experience. 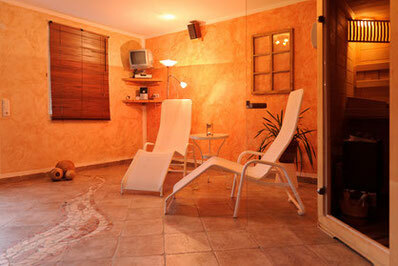 After our outbuilding was destroyed by snow pressure in 2006, we have built a modern guest house, which offers comfortable holiday apartments with a wellness area and especially one ... unlimit family holidayfun! One of our specialties in an integrated petting zoo. Through a one m² glass surface in the bottom of two apartments you have a direct view of the animals, hence the name "Ferienstadl". There is a spacious and tastefully furnished building with three apartments, a petting zoo, spa, breakfast room, games area and drying room (for ski and other utensils). Our buisness is a member of the „Wilde-Wunder-Card“. This allows you to enjoy free or discounted admission to approximately 40 different attrations in our region from May to October! Likewise, you will receive discounted tickets for the Ybbstaler Solebad during your stay. We look forward to welcome you in our FERIENSTADL Hammerau! Take a closer look at our Ferienstadl! Hear you can find all our current News! You can find us also on Instagram! We look forward to see your fotos from your holiday time in Ferienstadl Hammerau!